Distribution. 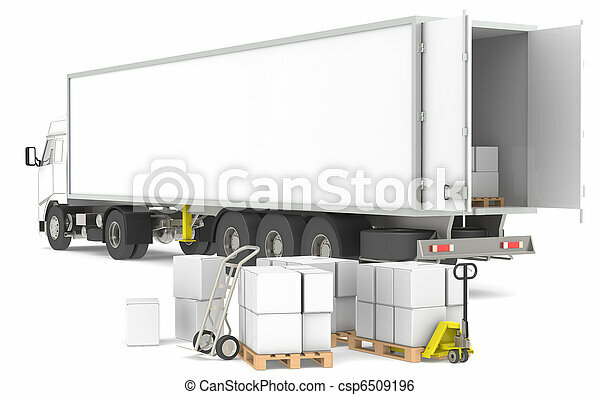 open trailer with pallets, boxes and trucks. part of a blue and yellow warehouse and logistics series.